The headlines are full of the “horsemeat scandal” raging throughout a number of countries in Europe. But not in Italy. Or, at least, not yet. It is important to keep in mind the scandal is about mislabeling, not about eating horsemeat, per se. Someone is making money from selling a less expensive meat as something it is not. 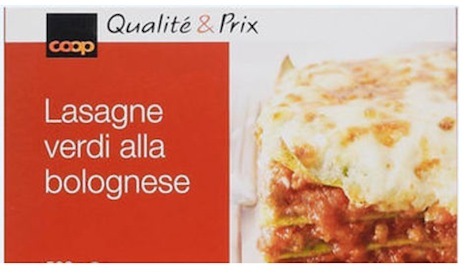 People who eat the mystery meat found in frozen lasagna, rather than making their own with ground meat from a trusted butcher, are waking up to the fact that there is fraud in the food production pipeline that stretches from Eastern Europe to France, Britain, Switzerland, Ireland and Sweden – so far. But that doesn’t mean that people in those countries don’t choose to eat horsemeat. In Europe and Japan, it is a staple and in Sweden horsemeat out-sells mutton and lamb combined. Residents of Austria, Belgium, Canada, Chile, China, France, Germany, Iceland, Indonesia, Kazakhstan, Malta, Mongolia, the Netherlands, Norway, Poland, Slovenia, and Switzerland all consume horsemeat. But Italy surpasses all other countries in the European Union in horsemeat consumption. It is an inexpensive meat and used to be the red meat for the poor, but now is consumed by all economic classes. One reason for the increased consumption came about 10 years ago with the fears of BSE (mad cow disease) in beef – the disease is not found in horses. 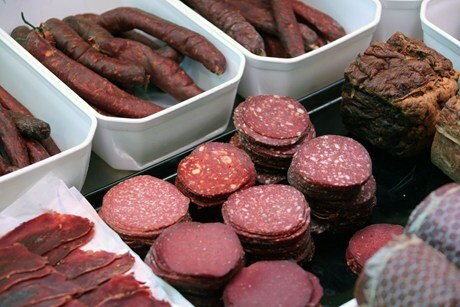 Various kinds of salmi made with horsemeat. Don’t worry if you are afraid that you might not recognize the difference between horse and beef in the market. In 1928, Italian legislation was passed to prohibit the sale of horsemeat together with other meats in the same stores. In the big food markets, horse meat is sold at a specialty stand by specialist horse butchers. The Roman Catholic Church prohibited eating horsemeat in the 8th century, and the taboo still remains, but is not followed by many catholic Italians. On a menu, keep an eye out for the words cavallo or equino, and in Sardinia the dialect word for horse is cuaddu. Horsemeat is used in a variety of Italian recipes: as a stew called pastissada (typical of Verona), served as steaks, as carpaccio (raw), or made into bresaola (cured). Even classic Italian mortadella sausage can be had in a horsemeat variety. Minute shredded strips of salted, dried and smoked horsemeat called sfilacci are popular in the Veneto region. A long-cooked stew called pezzetti di cavallo combines cubed horse meat with tomato sauce, onions, carrots and celery. Horsemeat sausages (salsiccia di equino) and salamis are traditional in northern Italy. In Sardinia, sa petza ‘e cuaddu is one of the most popular meats and sometimes is sold in typical kiosks with bread. Donkey is also cooked, for example as a stew called stracotto d’asino and as meat for sausages e.g. mortadella d’asino. The cuisine of Parma features a horsemeat tartare, called pesto di cavallo, marinated in lemon juice with fresh garlic and chopped parsley. 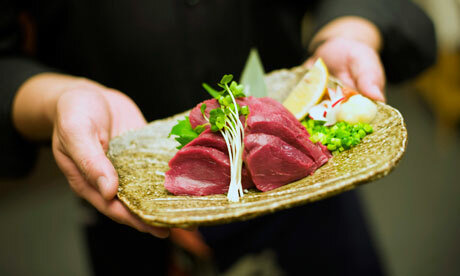 Horsemeat prepared by a specialty butcher is often served raw. Today, in Tuscany, consumption of horsemeat is rare, although there is one stand in the Mercato Centrale of Florence where specialty horse butcher, Nicola Ricci, has sold a wide variety of products for decades; as did his father before him. In the 1960s there was a total of five horsemeat stands in the huge Florence market. Florence has one restaurant, Piazza del Vino, that offers a horse steak. In Lucca, the trattoria Da Giulio, regularly has marinated raw cavallo alla tartara on the menu. Visitors to the north and south of Italy have many more chances to try horsemeat, if they are so inclined. 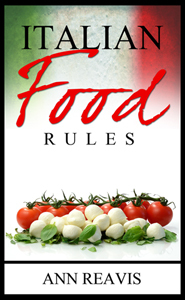 It’s a regional Italian food with a tradition that stretches back through the centuries. This article has various inaccuracies. Here in Veneto horse meat is almost a pride of the local cuisine and it is not true that it ‘s an inexpensive meat for the poor. Its cost is higher than any other kind of meat: higher than beef or pork, as it is regarded like the non-plus-ultra of meat quality. It is not true that it ‘s sold only in specialised butcheries. That law lasted only during the fascist regime. Now equine meat (horse. donkey and mule) is sold in specialised shops, as well as at general butchers, hypermarkets, supermarkets, minimarkest, almost everywhere, at least in this region. The common opinion here is: why should anyone arrange a scam selling horse meat instead of beef, since it costs more? It would be like selling gold instead of silver. If you really want to cheat the Venetians, sell them beef instead of horse meat, just in case. Thank you for your comment. It’s very helpful to get another region’s view, since as I have mentioned many times before Italy varies greatly from region to region, and it is often wrong to generalize from the Tuscan point of view. This article makes me want to ride a horse into an eatery serving horse meat and have it do tricks, to upset customers stomaches. Horses are very intelligence, loyal and loving. Well, we could more accurately say that the Church did not explicitly prohibit horse meat consumption but, rather, just frowned it at a certain point (a very far one, at that) in history. And the taboo – if there was ever one – certainly is not present in today’s Italy; quite the opposite. Most people don’t even know that horse meat used to be frowned upon in the early Middle Ages. Therefore, it would be a gross understatement to say that many Italians don’t follow the Church’s so-called “ban” (which, in reality wasn’t even a ban) – because actually, nobody does! Hope it is clear now. I am from the region Lombardia, and agree that horse meat is a more expensive meat than pork and beef, a delicacy!! Therefore it’s inaccurate to say that people could be misled into buying it instead of beef .